A seemingly easy task becomes like walking through hell in the morning; making your bed. Yes, this is the most dreaded task in the morning when you’re running late for work and have overslept. 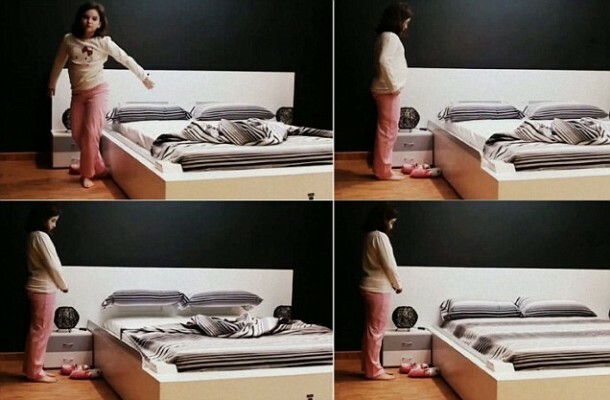 You can thank OHEA, a Spanish furniture company, for coming up with a smart bed that is capable of making itself in the morning. If you own OHEA smart bed, you can wake up and get on about getting fresh and as soon as you’re done with brushing your teeth, the smart bed will have made itself and you can smile and pat it before you leave the room. The smart bed accomplishes this task by making use of special pillows and bed sheets. The sheets have been attached to robotic arms that reside on the either side of the bed while the pillows have been attached to cords that raise them above the bed. It features weight sensors that can ascertain when you leave the bed and mark the beginning of the process. The cords pull the pillows up at first and then the robotic arms come into play. They pull the sheets from side and cover the whole bed. Once this has been accomplished, the cords drop the pillows back on the bed. The end result? A perfectly made bed within a minute.